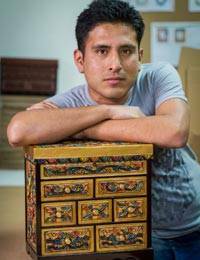 A double-headed falcon in a garden of scrolling leaves and flowers protects your treasures in this dark chocolate brown cedar wood jewelry box designed by artisan Kelvin Maguina of Peru. 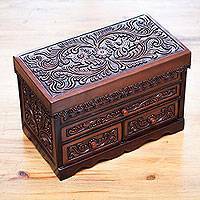 The bird and flower motifs on the domed lid and sides are made of hand-tooled leather. The interior has one main compartment with a removable three-sectioned tray. 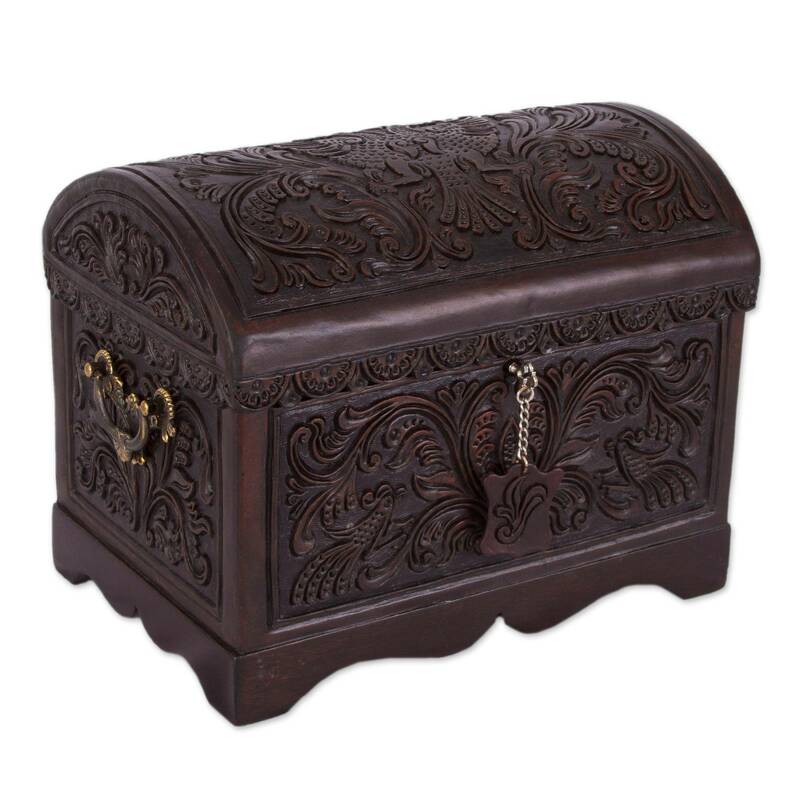 The jewelry box has brass handles and closes with a lock and key.